Because he barfed up hairballs all over the front porch. Look for yourself. They’re dry, gross things. I haven’t hosed them off yet. So, did you really want a martini? That was The Small LSB. With salt around the rim. (To The Small LSB.) No, that would be mixing drinks. (To Mrs. Scatter.) How do you make a virgin martini? We were orgasmoing to cheeses. But it’s not Sunday yet. We were reading about cheese. Oh. You weren’t reading churchy stuff? What’s the spaghetti sauce doing on the counter? You don’t clean out the refrigerator to make drinks. 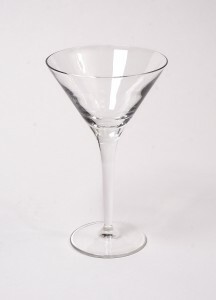 (She clinks his glass and takes a sip. She stifles a contorted face and continues to smile brightly at Mr. Scatter while he stands there holding his glass.) We could be joining Jack the Barfer on the front porch.